A Pint of Harp, Smoking a Cigarette while sitting at The Bar… and criticising Gerry Adams ! Every Tuesday evening, without fail, my pal drove from Terenure to my Office in Fairview, where we would have a chat, sort out any computer problems, then head across the road to Kavanagh’s Pub or down the road to Meaghers, for a few Pints. Many a time we had to return to the Office to finish off some techie stuff, working through the small hours and, on more than one occasion, we ended up in Jury’s Coffee Dock, Ballsbridge for Breakfast. Those days were in the late 1980’s and come the Drink Driving Laws, we decided it would be safer for him to arrive by Taxi to my house and then we’d walk to my Local. By this stage my pal could not get his favourite beverage, a Pint of Harp, anywhere in Dublin, bar the Airport and used to content himself with whatever lager was on tap that night. He was also a heavy smoker, about 60 plus a day of Non-tipped Players Navy Cut. He said they’d be the death of him. Then the Smoking Ban was brought into law by Michael Martin TD and so he could not have a smoke with his ‘substitute’ Pint. This upset him i.e. the loss of a Pint of Harp and a smoke at the Bar. On a trip we both took to Texas, he insisted on flying into Houston as there was a Firing Range he wanted to visit. ‘Top Gun’ was the name of the establishment. He was a crack shot and this was clearly in evidence when I observed him in action. The owner of the Range and him struck up a great conversation as they had a lot in common. For my part, I took more interest in their T-shirts and purchased one for my daughter, a bodyguard, to wear on the Firing Range she practises on in Slovenia. We took this trip back when Hurricane Rita was heading towards Texas. The night before, I had explained to him that in Texas they were really proud of their State, so if asked if he’s been there before that the answer was a definite ‘No‘. He’d been to the United States on numerous occasions before but I felt I should warn him. Despite my warning he proceeded to Chat Up the Bar Maid and after her serving me my lovely Pint of Shiner Boch, a good Texan Beer, she asked him what his pleasure was. He hesitated in ordering but continued to chat to her. Then.. ‘Have you been here before’ she asked. He replied ‘Yes, I had a girlfriend in Santa Barbara (California) for many years’. Upon hearing this she promptly walked away and refused to serve him. I had to order his beer for him for the rest of the night. 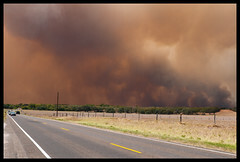 The following day, I had a call from a pal who advised me to get the hell out of Houston as The Governor of Texas, Rick Perry was about to order the evacuation of the City. I relayed this to my Pal who insisted on finishing his meal before taking up the challenge of driving us both to San Antonio to be out-of-the-way of the Hurricane. I always enjoyed his company, not his driving so the journey was, well eventful so to speak. 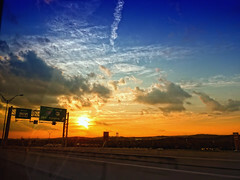 But, I move on… Just north of San Antonio is a fantastic Outlet Mall located in San Marcos. After hours of shopping we headed into a Local Bar for a Pint, or two. 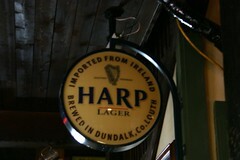 Imagine his surprise when he saw, that behind the Bar, was a Tap labelled Harp. Well, I decided that I’d be the designated driver while my pal proceeded to drink the keg dry. He was a staunch Irish Republican and did not approve of Gerry Adams at all. He though he sold out Republicans and, whatever my own views, we had many a heated debate and this session was no different. Needless to say he engaged all the locals in this conversation and sang Irish Rebel Songs for hours and we really had a great Night. I though we’d be in trouble though when he called the local American Football Team ‘Pussies’. As he was an avid Rugby fan, he told all that ‘real men didn’t wear all that padding’. To my surprise, we were not ejected or set upon but warmly welcomed by all present. On that trip it became obvious to me that everything wasn’t right with him. He spoke about his ex-girlfriend from California so much so, that I attempted, on more than one occasion, to get him to call her. He wouldn’t and well, he was annoyed that I was trying to bully him into doing so. He was a very private guy and one hell of a friend. The type of friend who would drop all to come to your assistance regardless of how inconvenient it might be for him. A couple of years ago he phoned me. No, it was not a Tuesday, but a Friday and he asked me if I’d like a Pint. I was tired after a very long week but said ‘Yeah, I’d love one’. An hour later the taxi dropped him off at my door. He looked great and was in great form. We headed to my local pub where we enjoyed a few pints. He listened to me moaning about the economy; the way that people had changed; that everyone was now a European and had no time for their fellow countrymen; and such like. He was calm and composed and while agreeing with me on most issues, said he didn’t like the way the Country was at all. That times had indeed changed and that he didn’t like living here any more. That the country was a disappointment to him and wondered what those that had died fighting for the country would make of it all. We finished up the night at my house where we had a Pizza delivered; he had the usual chat with my daughters of whom he was very fond and he gave his usual rendition of Republican Songs for the benefit of Lulu, my daughter’s African Grey Parrot, who really loved him. A great night was had by all and the usual Taxi Firm arrived about Three in the morning to drive him home. LegalEagleStar , Wednesday , 22nd. June , 2011. An Irishman at home with ‘The Spirit of Texas’. Texas is unlike Ireland, in so many ways. While we speak the same language, well kind of, the whole mentality of the Texan is so unlike us Irish today. I have no doubt that they would not ‘lie down’ as we appear to be doing as regards the Banks and Big Business. The spirit of The Alamo is alive and well in Texas. 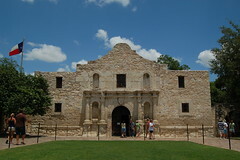 We Irish fought in the Battle of the Alamo and many people in Ireland are unaware of this fact. Not so in San Antonio, where they remember that we stood shoulder to shoulder with many races in their fight for independence. And yes, Big Business is alive and kicking here with a ruthless efficiency. I for one would be occupied full-time in supporting workers rights and might well not be though of too highly as a result. That said, there is a work ethic present here that would put a lot of us to shame. When I was young, growing up, I was aware of a sense of National Pride. Unfortunately with the onset of the Celtic Tiger our national attitudes changed and not for the better, as far as I’m concerned. There was also a kind of Tribalism that prevailed between Dublin and the rest of the country. For the average ‘Dub’ we were aware of Dublin playing in Croke Park against, well a Country side. I at least, knew of two other Counties. As my father was a Dundalk man he brought me to see the Mighty Down playing and that got his Northern Blood flowing. I was also aware of the Wee County, Louth but I have no recollection of ever seeing them play. In Texas, yes they are Americans and proud of it, but first and foremost they are Texans. When you see the Stars and Stripes flying outside a Company Headquarters, it will invariably be accompanied by the Lone Star i.e. the Flag of Texas. Sometimes the Lone Star stands proudly on its own. 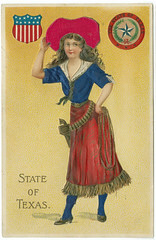 Many a proud Texan tells me of its history. The Six Flags of Texas… under Spain, France, Mexico, Independent Texas, Confederacy then United States. To this day, although this is disputed by many, I’m told that Texas has the right to secede from the Union. Whether this is correct or not it doesn’t stop many from displaying this as a car bumper sticker when they are angry with the direction the US is taking if they consider it not in the interests of Texas. Where we display, or did in past years, stickers saying ‘Keep Dublin Tidy’, their campaign states ‘Don’t Mess with Texas’. Their attitude to crime is very black and white. If a crime is committed they go after the criminal with speed and efficiency. Child and Police killers get no mercy and these are deemed capital crimes to which the death penalty applies. I am very much against the death penalty as I believe violence by the State is obscene and that one person executed in the wrong is one too many. I understand where the Texan mentality comes from though. Life can be very hard. People have to work long hours to provide for their families. But there is a great sense of community which extends into looking after those not provided for by the State. People volunteer and as a result they have great pride in their communities. There is a certain old-fashioned attitude prevailing which I admire i.e. respect for each other. Whatever your status you’ll be address as ‘Sir’ or ‘Mam’. Nice to hear some manners spoken again. I have fallen in love with this State, or Country, if you take that view, because of its people regardless of its Vast open spaces with its Huge Sky. I would never get a sense of claustrophobia here, as everything really is Bigger in Texas. As we plan to head back to Dublin shortly, I look around at the land with its wild deer, snakes (of 999 varieties), wild cats, bobcats, scorpions, and every type of bug you can imagine, and myself and family, including my grandson ‘Toes’ will miss this place. I head back home and I wonder sadly why we Irish have laid down and let our sense of Irishness and pride be taken away from us. I am certain about this, that unless we wake up and soon, we will be living in an anonymous Province of Europe where none of us will feel we belong. Already we have lost too many of our young people to foreign lands and these were our future. What future can we look forward to now ? What will it take to wake us up again as a Nation and regain our sense of National Pride ? Until then, I can only hope that I can spend as much time as possible among the Texan people who have made me feel, well at home here among the people of the Great State of Texas. Thank You Guys and Gals for this real sense of ‘ Home’. LegalEagleStar , Tuesday , 14th. June 2011 . 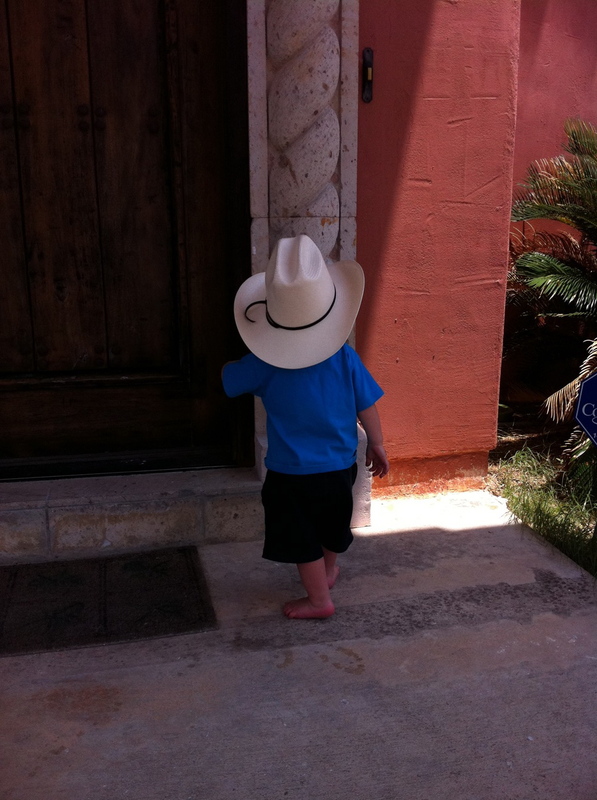 A Day in the life of an Irish Cowboy living in Texas, with Grandson !! Woken early by crying Grandson. Lovely morning here in Texas, if you could drown out the sound of Toes. Toes is the name I gave him shortly after he was Christened as he had a fascination with his Toes. To get up and see to said child or turn over and hope that Mammy or Daddy will actually identify the cry of their beloved. OK, I turned over and went back to sleep. Yes I did but it became more impossible to ignore the cries. You know that cry which pleads with you, to your better senses. OK, eventually Mammy woke up and did the necessary. Later on I decided I needed some therapy. While others go to the Spa and have massages and such like, Baldwin heads to the local Barbers Shop where a Korean Lady and her Texan Assistant always meet you with the same loving welcome…. “What You Want? ?” Eh, I could have said a Haircut but that would have been too obvious. Eh, usually get it cut, eh, with a Scissors (?). “What Number?” Em, now I knew what awaited me. My son years ago went from a Number 6 to a Nil Blade. Was the same fate awaiting me I wondered. OK said I, a Number 4. She replied “and ?” Well, was she asking me something else, but what?? Another Number !! OK, I replied Number 2. To be honest I hadn’t a clue what I’d just said or indeed ordered. Her Texan Assistant broke the ice somewhat by saying “Oh, I love your accent” . Great sorted. Nearly an hour later after having the sides nearly shaved but some hair, not much though, still visible on top, I went to stand up. “Don’t move.” I froze. Then the Texan took the hoover to me and literally hoovered my head, face and collar. I was then treated to a head massage, of sorts followed by a compulsive trimming of my Eyebrows. They both then looked me up and down and smiled. After more time showing me their masterpiece by the use of several mirrors I was released from the chair. To be fair to them both, I’ve never been pampered so much in my life. $10 was the Bill which I gladly paid plus a well deserved Tip before heading out to my son who said, Fair Play to you Dad. Some Haircut, with an evil grin on his face. My son had been looking after his nephew for the past hour or so and both seemed in good form. Thank God for small mercies. As it was now nearing the unearthly hour of 10AM, I decided today was the day to get all those jobs done that took time. Well, we did have all day and Toes loves nothing better than a spin in the car. So I decided to get the Car Taxed and Inspected. The stickers on the Windscreen would soon alert the local SAPD that I was driving illegally. Well come June 1st that is. So off to collect my Caretaker’s Wife who is better than a Sat Nav. I might mention that without her I would literally drive around totally lost. In Texas if you take the wrong road you could end up in Mexico in no time at all. So my son, Toes and me drove over to collect said Sat Nav who calls me her ‘Twin Brother from Another Mudder’ as we were born exactly 1 hour apart back in 1958. I claim she’s the older twin but she doesn’t agree. I drive past the Office where you pay the car tax with a smug look on my face as queues are not for me.The Queue is way past the door and spilling out onto the Street outside. My Sat Nav Twin directs me to a parking spot outside an unmarked Building. I had been here several times over the past few years and it always was a pleasure to do business. On entering through the side door I noticed there was a girl seated at both desks. One had a customer seated in front of her while the other lady was free. I usually say Hi and get a warm response and the usual ‘Oh I love your accent’. On this occasion however the lady who was free pointed me to the Take a Number Board. I took Number 14 and went where directed to take a seat and wait for said number 14 to be called. As I sat down the lady who was free gave me a frightening look. She let me sit for all of 10 seconds and then shouted “Next”. I looked around to see if there was someone in front of me, like the Invisible Man. Then I heard the words “You, are you deaf” ring out. Not a good start I thought but sure I’ll only be 2 or 3 minutes, just like last year, I thought. I then walked gingerly towards her as she pointed to where I should sit. My Sat Nav sat beside me while my son stood a safe distance away. Toes I placed on my lap. I then produced my Insurance and my Driving Licence as I’d done on numerous occasions before. She looks at them and then holds up my Driving Licence and says “What the hell is this?” My Driving Licence I said. I explained politely that I was Irish and lived in Dublin but that I had a home over here for vacations etc. She was unimpressed. I don’t think she believed one word of what I said. Remember now that I am in front of her desk in Boots, Jeans, Shirt and Cowboy Hat. She obviously had formed the opinion that I was a fraudster. She then asked whether there were any other Baldwins present. My son stepped forward. She asked him if he had a real driving licence. He produced his UK Driving Licence and she immediately said that was a real licence as she gives me yet another dirty look. At this stage I can feel cold sweat dripping from my brow. I then went to produce my Four Courts I.D. which would verify that I was a Solicitor. I then quickly thought again as there was a rather large sign on the door saying ”No Solicitors”. Not a good idea I thought. And of course I had left my Passport which contained an American Visa, well, back at the Ranch. At this point Toes decided to get involved and spoke. As his main word is Assse he uttered same with such passion that well, it didn’t really help my cause. Suddenly she reached for the phone. At this point I thought, The Game is Up. She’s phoning the Police who will incarcerate me in the Local Lock-up. Poor Toes would see his Grandad being led away in handcuffs! I thought a quick call to my colleague Jim Adler, an attorney I trained with in Boston in the late 80’s would be necessary. He now calls himself “The Texas Hammer”. Yeah, he’ll sort this ‘Lady’ out. Or, what about the Governor, Rick Perry. Sure he follows me on Twitter. He’ll definitely come to my rescue, won’t he ? But, to my relief I actually heard the person on the other end of the phone say ‘Yeah, no problem. Give Tom his Tax Sticker’. To say I was relieved would be an understatement. She then said she was prepared to Sell me the Car Tax but only on my son’s real Driving Licence. The Dublin Corporation Pink Driving Licence was thrown back at me and I was told under no circumstances to produce such a forgery again. That she would let me away with it this time. That it didn’t even look like a Driving Licence and was badly done anyway. I then paid her the grand sum of $54.30 and she gave me my Registration Renewal Receipt and Sticker. I left the office with my papers in order but a broken man, grasping Toes in my arms. But sure said my Sat Nav Twin, “she’s obviously not from Texas”. Next port of call was a trip to this nice Mexican who ran an Inspection facility. I nervously walked in expecting the Police to be waiting for me. No, he was there ,a kind oldish guy. He took my Car Keys and 5 minutes later I was handed my sticker to say the car had passed and he even offered to put the 2 new stickers I had on the windscreen for me. I then paid him his fee, $14.20. The only strange thing was that he asked me what 8 was in German, for no apparent reason. I assured him I was Irish although I looked a local. Acht, I believe is 8 in German I said as I Thanked him and we went on our way. A drive to Krispy Kremes was next as we needed some comfort food. Toes is 15 months old and not adverse to the odd bite of a Donut. The light was on as we approached so we knew we’d get some free donuts. On entering the building a young Mexican lad was walking towards the door eating a donut when Toes literally accosted him trying to prise the donut from his hand. Thank God the lad and his Mother saw the funny side of things. We bought a box of a dozen to bring home but Toes insisted on eating one whole one, on his own, even before leaving the shop. While driving home I got a whiff from the back seat and so though it only right to speed home and gives Toes back to his adorable mother. At this stage I am contemplating an immediate Court challenge against Dublin City Council and having them explain before a High Court Judge why they had issued me, some 10 years ago, with such an obviously fraudulent document purporting to be a Driving Licence. ”Hi Tom, it’s ‘G’ again. We’re busy over here. Isn’t it well for you off there in Texas having a Great Time. ‘S’ said to say Hi and will be in touch later.” This time I said… well can she make it much later please as I want, need more sleep. It’s nearly 100 degrees here, or it will be in a few hours time, according to The Weather Channel. So again, back to bed but this time I couldn’t sleep. My Grandson was awake. He has few words, none actually except AArrssee and the odd time he says YEEsss. So guess who ends up babysitting until Mammy or Daddy gets up later? You’ve guessed it. So Disney Channel, Mickey Mouse Club House it was for me for next several hours. The moment I saw said Child’s father taking a swim while I remained indoors with said Grandchild was enough to ignite our first and probably shortest row. ”You, inside now!’‘ was the start and finish of our encounter. No doubt he had a lovely, uninterrupted sleep. I think I’m starting to take a dislike to him. Yes, definitely so ! Office email arrived later. ”Sorry to phone you so early. I really needed to talk with you so hope I’m forgiven. ‘G’ ” Now I’m worried. What did she phone me to talk about that was so urgent that I have clearly now forgotten or else have suffered memory loss ?? Where’s me bottle of Shiner, to restore my sanity? It’s not Guinness but it’s good. LegalEagleStar Wednesday, 25th. May, 2011.